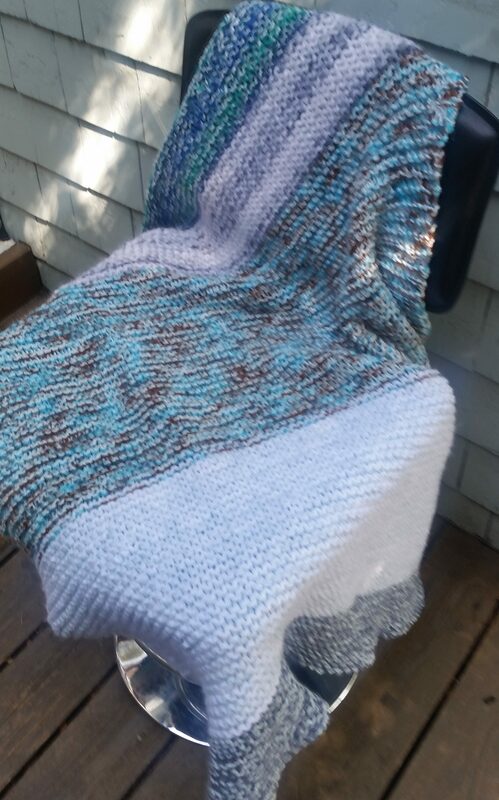 I thought I’d share since I just finished these two blankets, and if you need a little extra boost to get some things finished and mailed in to them, this is the perfect time. The contest ends June 30. I have to confess, I’ve missed a lot. What is Alice’s Embrace? 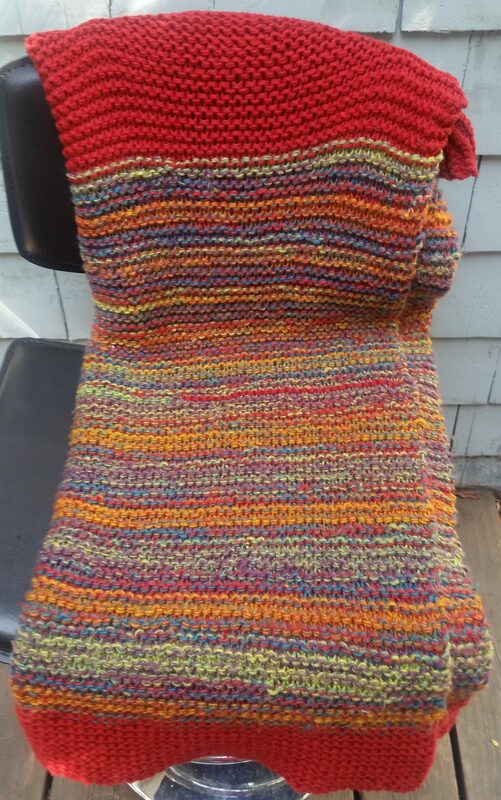 http://www.alicesembrace.org is the site if you want to take a closer look, but in a nutshell, it is a charity that donates lap blankets to patients with Alzheimers. The founder’s mom died of Alzheimers, and the idea is to provide something comforting to patients. They have a whole bunch of free patterns on their site for knit and crochet, and a pretty wide list of yarns you can use also. That sounds like a great cause. 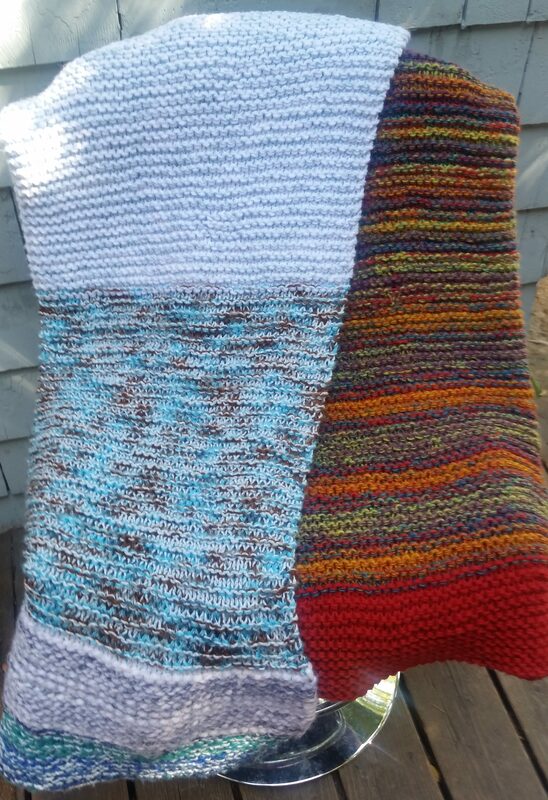 And knitting blankets… what could be easier! Thanks for the info. I like it. It doesn’t require expensive yarn, and it’s done on big needles, so I feel like I can get them done in a reasonable amount of time. I’ve done close to 10 now, I think.